At first I thought Cairo was going to be a pretty standard 'Sophisticated Europe/Provincial Australia' narrative. Louche arty types, whiskied up, railing against their boring, backward country. It's a familiar trope. Germaine Greer stuff - you may have heard of her. But it's not that at all. It's a pretty standard action drama built around a true crime that took place in Melbourne in 1986 - the heist of Picasso's Weeping Woman from the National Gallery of Victoria. 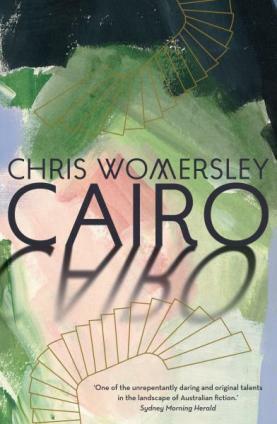 Womersley has created out of this an absorbing popular tale. It's written with enormous charm and style, without pretension, and peopled with lively characters. The problem is it falls well short of its literary and imaginative promise. Inspired by an actual event it remains anchored to it, and never has the chance to take off as a more probing, socially critical literary effort. And it desperately needed a final 'Thirty Years Later' chapter. Womersley's previous multi-award winning novel Bereft was far more accomplished. But read Cairo nevertheless. It's hugely enjoyable.